President Ho Chi Minh School was one of the destinations of the Ho Chi Minh City leaders within the framework of visiting and working at the Republic of Cuba in June, 2018. 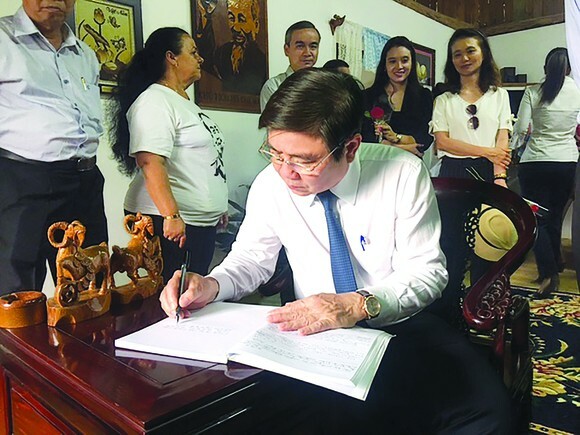 Chairman of the Ho Chi Minh City People’s Committee Nguyen Thanh Phong writes down a memory book at Vietnamese House in Cuba’s Ben Tre village. The primary school is located in the center of Havana including two campuses with 250 pupils. Right at the entrance of the school, there is large-size portrait of President Ho Chi Minh with his beloved smile. The pupils wearing red scarf dancing and singing Vietnamese and Cuban songs welcomed the distinguished guests. 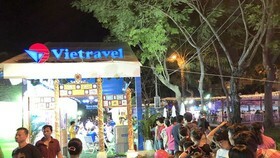 Marking the first anniversary of the liberation of the South Vietnam and the national reunification of Vietnam in 1976, the Central Secretary Board of Party Communist of Cuba decided to establish the school named after the Vietnamese President, aiming to express friendship and solidarity with the Vietnamese people. In this school, pupils from 1st- 6th grade have had lessons about Vietnamese country and people to deepen the solidarity relationship between the two nations. 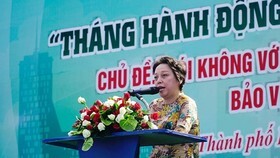 According to Vietnamese Ambassador to Cuba Nguyen Thanh Trung, there is another primary school named after heroine Vo Thi Thang in downtown district of Playgia in Havana since 1968. The establishment was considered an evidence of Cuban people’s emotion for Vietnam. Besides that, the school also set up an exhibition corner where Cuba saves profound spirit heritage of diplomatic ties between the two nations. Like in President Ho Chi Minh school, many images and exhibits about Vietnam, especially an image of the heroine with a victory smile have been showcased at the school. 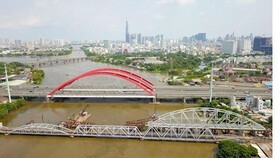 A part of Vietnamese history has officially been taught at this school to deepen the historical lessons of the two nations as well as to educate young generations spirit of struggling to protect the nation. Mr. Esteban Braulio Gonzalez Henandez, who has been working in the Cuban Embassy to Vietnam for 12 years, said that Cuban people really love President Ho Chi Minh and always consider Vietnam as a close friend. While travelling in Cuba, Vietnamese visitors are absolutely invited to the village named after the Vietnamese Mekong Delta province of Ben Tre which was the first local in the Southern Vietnam to rebel to fight against the US and the government of Republic of Vietnam. It takes around 30 minutes by car from capital of Havana to the village located in Artemisa province, the western part of Cuba. Statues complex of male and female Vietnamese guerrillas with guns and buffalos at the village entrance is a special symbol in this Latin American country. Based on the documents, a group including Vietnamese students studied in Cuba, who spent a summer labor-trip at a village of Hinba Bonita cow farm in 1969. (Currently, the farm still operates on 13,000 hectares and raises over 30,000 dairy cows). 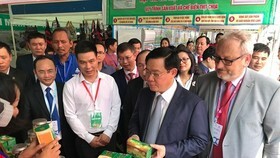 Mr. Fidel Castrol had established the communities in the farm and named “Ben Tre village” to honor the first province in the Southern of Vietnam to be liberated. Besides that, he had chosen the day of December 20, 1969 to commemorate the 9th anniversary of the National Liberation Front of South Vietnam. 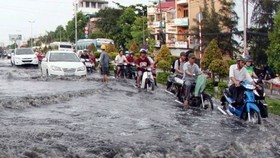 Ben Tre village in Cuba has its large concrete roads with numerous apartments on the entrance. Inside the village, there are houses with leaf roofs. Besides that, there are also school, department store, general clinic, etc. This village gathers around 200 households with around 1,000 inhabitants. The heart of Ben Tre village is the stilt-house with its name “CASA VIETNAMITA” (Vietnamese House), built in 1975 based on the initiative of Cuban Heroine Melba Hernandez who was Chairwoman of Cuban Committee for Solidarity with Vietnam. The house was completely made by wood and bamboo, with its leaf roofs. Inside that house, a lot of images about the friendly relationship of the two peoples and souvenirs from Vietnam like images of President Ho Chi Minh, Cuban leader Fidel Castro, Che Guevara, General Vo Nguyen Giap, Heroine Nguyen Thi Dinh and others images of iconic hat (Non la), Vietnamese traditional dress (Ao dai), traditional southern Vietnamese garment (Ao ba ba)… are showcased. 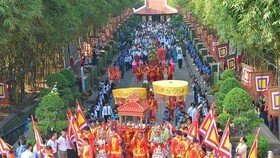 This village has become a point of interest in the local cultural activities. Statue of President Ho Chi Minh is the first destination of the Ho Chi Minh City delegation as well as most of Vietnamese delegations when they arrived in Cuba. The bronze sculpture statue is located at Hoa Binh (Peace) Park near Boulevard 26, one of the most beautiful park in capital of Havana which was designed by architecture Joel Diaz, Vice President of Cuba- Vietnam Friendship Association. 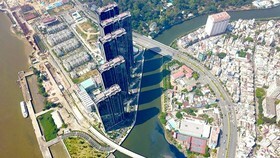 The construction was completed in 2003 on the occasion of the 113th birthday of President Ho Chi Minh. Ms. Magalys DelRio, Chairwoman of Cuba- Vietnam Friendship Association’s branch in Havana said that she and her retired friends come there every day in order to visit the Vietnamese President who is the great friend of the Cuban people. Currently, all 15 provinces of Cuba have established Cuba- Vietnam Friendship Associations. 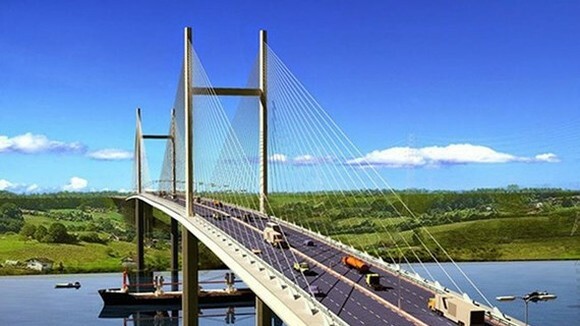 Accordingly, many local people have Vietnamese names like Mr. Nguyen Giap, Mr. Trung Thanh, Ms. Linh, Ms. Dinh… because their parents admired Vietnamese people and the country. Every person, every country has its own valuable history. Cuba has always tries its best improving people’s lives. Cuba is one of the top happy countries in the world.